Despite the wide range of technologies involved, the construction industry still relies heavily on one old-fashioned component: the human. The clients, managers, designers, investors, and a whole host of other stakeholders are all involved in a crucial series of relationships that are just as important to project success as technical know-how. As construction projects become increasingly international as well as interdisciplinary, the risk and cost of disharmonious working grows ever larger. The growth of IT and the increased reliance on large mergers and joint-ventures have created new problems, which require a new set of solutions. Recent research has generated profound insights into international differences in business culture. This new work presents up-to-date theory and practical guidance, identifying situations in which cultural differences present challenges. A focus on "critical incidents", demonstrated in a range of case studies will help readers to foresee such situations in their own projects and processes, and so improve strategic and operational decision-making in construction collaborations. Detailed examples are taken from the Netherlands, Germany, Poland, Turkey, the UAE, and China, to explore a variety of problems in very different economic and cultural surroundings. 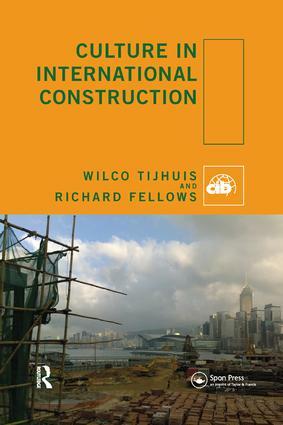 A range of professionals (contractors, developers, investors, architects, engineers, governments, public/private clients) will find this book highly valuable, as will researchers and students.